A network of affiliated historical societies, comprising more than seventy organisations and over two thousand members has been developed across Western Australia. These societies play an active role in growing community awareness and appreciation of local history and heritage through the preservation, recording and promotion of their respective district histories. There may be groups in Western Australia who want to form a society with similar interests. Affiliated Societies Guidelines for Forming New Societies has been prepared to assist those groups. 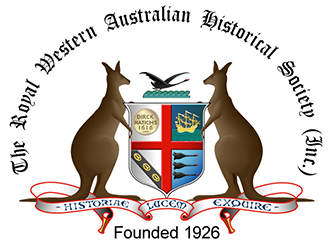 The Royal Western Australian Historical Society’s Annual State History Conference of Affiliated Societies provides opportunities for members to meet each other and gain valuable knowledge from guest speakers and workshops. Tours and events are from time to time are conducted in partnership with Affiliated Societies. The Society invites historical societies and other like-minded organisations to become Affiliates. Just fill in the email Membership Application Form. The Society can provide assistance and advice to affiliated societies and groups regarding management of an historical society, organisation of materials and support in grant applications. The Affiliated Societies Committee’s members have had many years of practical experience in running a society or applying for grants and are willing to share this experience with affiliated members. The Society issues its monthly newsletter History West, every month (except January). The newsletter provides information on activities run by the Society and its affiliated members as well as interesting articles on various aspects of history. Book reviews on books held in either the library of for sale in the Society’s library are also a regular feature. Membership also entitles affiliated societies to the Society’s annual journal Early Days that which features talks given at the Society’s monthly talks. Members are invited to attend the monthly talks at Stirling House and receive a discount on the various tours that are organised each year. The RWAHS also organise joint events with Affiliated Societies such as local heritage days or at the annual Agricultural Show. Affiliated membership entitles member of your organisation to free access to the extensive research library (which includes books, original documents, maps, photographs and pictures). Assistance with any tricky research questions can also be provided by the highly experienced volunteers who assist the Society’s honorary Librarian. Affiliated Members are also entitled to a discount on the books in the Society’s extensive bookshop that stocks a huge variety of books on Western Australian history. The Society also stocks a range of archival products that can also be purchased at a discount. The Affiliated Societies Committee assists the host society organise the RWAHS annual conference. Committee members are elected each year at the annual conference. Serving on this committee provides an opportunity to network with other like-minded people who are passionate about history. The affiliated societies are also represented on the RWAHS’ Council as two representatives from this committee serve on Council. This enables affiliates to participate in the running of their parent body. A comprehensive listing of Affiliated Societies contact details is available at this site.